Thanks everyone! The change to the shipping charges where postage doubled at the beginning of the year really tanked a huge chunk of our budget we had set aside for this project. Thanks to you, our loyal backers, we are now able to produce our special set for Maelee and take her to the show. We are hoping that many of you will be attending GenCon so we will get a chance to meet you to thank you in person for supporting Bombshell Miniatures! We have reached $12,500 which unlocked the individual Maelee piece as an Add-on for an additional pledge amount of $10 to any backer level. This is not limited. Maelee will come with one plastic 25mm base. 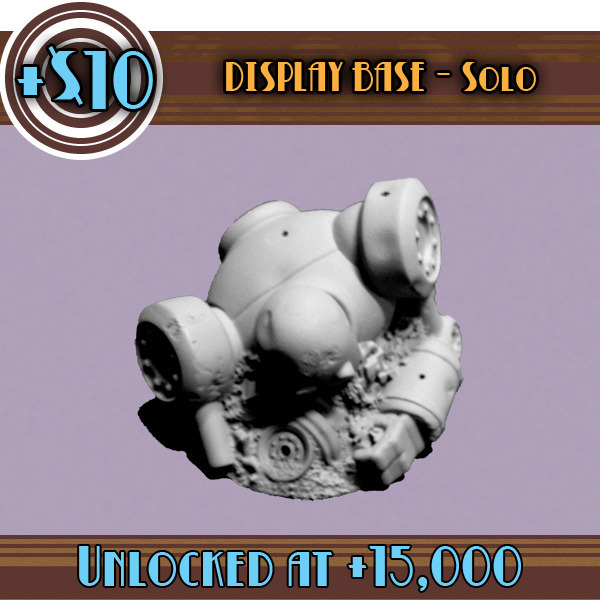 If we reach $15,000 we will unlock the individual resin Wrecked Robot Display Base piece as an Add-on for an additional pledge amount of $10 to any backer level. This is not limited and does NOT include the 50mm plastic display base. 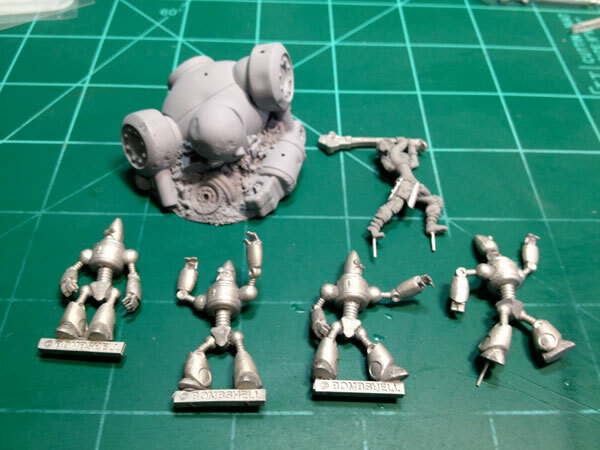 Valiant has received the pieces and will be getting us a quote on molding and casting this week. I have also ordered the packaging materials for the set boxes and shipping supplies to get them assembled as soon as we start to receive castings!